Southern States PBA has three state divisions that have State Trooper/Highway Patrol Chapters that sponsor a magazine. 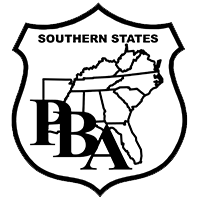 Southern States PBA is largely funded by membership dues. An additional source of supplemental income is derived from advertising sales in its bi-annual publications: Georgia Trooper Magazine, North Carolina Patrolman’s Journal, and Alabama Trooper News. These magazines are an integral part of the PBA and we appreciate your support of them.